Stewart and Irene MacDonald’s most recent gas and electricity bills prior to going solar were $1,100 – which spurred them into action to reduce their energy costs. Stewart saw an ad from Darebin City Council offering the installation of a solar panel system under its Solar $aver program, with repayments to be made over ten years through the McDonald’s council rates. The program resulted in the installation of a 2kW system supplied by Energy Matters and installed by Energy Matters partner Pro FX. Stewart and Irene were also provided valuable energy efficiency advice from program partner Positive Charge, who pointed out where they were using excessive power. The greenest watt being the one that doesn’t have to be generated; Stewart and Irene have made quite a few changes based on that advice and improved their home’s overall energy efficiency. Any anxieties relating to the installation and payback period they may have had regarding the program and installation were quickly allayed. “The council and the whole scheme took those anxieties away,”said Stewart. “It feels very good to be part of the solar revolution,” said Irene. Thanks to the Darebin City Council Solar $aver program, 294 eligible applicants have been able to install either a 1.5kW or 2kW solar panel system. These systems provide electricity cost savings generally between $361 and $760 per year depending on size and energy consumption profile. 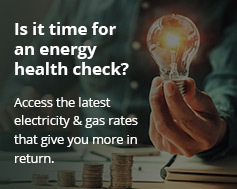 Join the McDonalds and thousands of other Australians who are now making their own electricity with a rooftop solar energy system from Energy Matters! View our current specials or get an instant online solar quote.